This school year, St. Patrick Catholic School in Parnell is celebrating its 125th anniversary of providing Catholic education. To commemorate the occasion, Bishop Walkowiak visited for Mass on March 15. He also stopped by classrooms to talk with students. The anniversary celebration coincided with the school’s annual St. Patrick Day festivities, including a performance of Irish music by the Conklin Ceili Band. See photos from the day’s events in the gallery below or at this link. 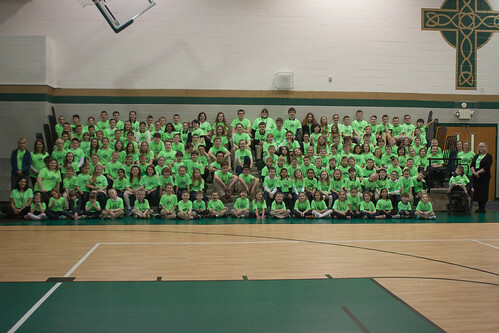 St. Patrick Catholic School in Parnell was founded in the 1893-1894 school year and serves more than 215 students in preschool through 8th grade. Learn more here.